Amazon now supports hosting static websites on S3. 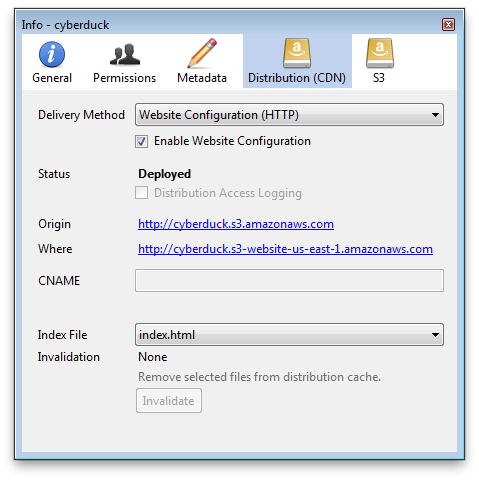 The latest snapshot build of Cyberduck supports configuring website distributions for S3 buckets. Update: You can now also configure Website Configuration Endpoint Distributions with CloudFront CDN. This entry was posted in Cyberduck and tagged aws, cdn, s3. Bookmark the permalink.